Russia has become the biggest consumer of Afghan heroin with 21% of all the drug consumed in the world, as of the latest UN Office on Drugs and Crime report “Addiction, Crime and Insurgency” published on October 21. According to the report, no less than 70 tons of heroin were trafficked to Russia in 2008 – that’s three times more than to the US and Canada together, and much more than previously estimated. “It's being brought to Russia across the unprotected, transparent, and I would call them virtual borders, which were established after the collapse of the Soviet Union,” says Viktor Ivanov, head of the Federal Drug Control Service. Russia's Federal Drug Control Service Head, Viktor Ivanov, stated that over 180 Afghan drug cartels were busy trafficking opiates to the Russian Federation. He pointed out that most of them are operating in Afghan provinces that are under the control of coalition forces in Afghanistan, and therefore lie in their zone of responsibility. “About 2-2.5 million people [in Russia] are drug users… and 90% of drug-dependent people use Afghan opiates,” Ivanov told RT. Over the last 10 years, the quantity of drug addicts in Russia skyrocketed tenfold, claiming 30,000-40,000 lives annually. Meanwhile, Afghanistan remains the world leader in opiate production with 92% of all global opium poppy cultivation. This market is valued at $65 billion. 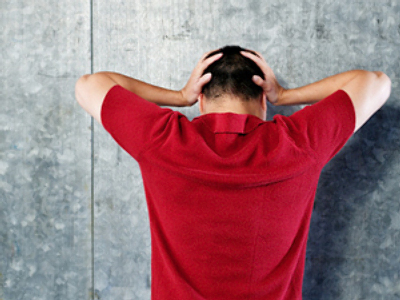 It involves 15 million addicts, of which 100,000 people die every year. Widespread corruption and the lack of enforcement results in the interception of only 2% of the trafficked Afghan opiates, while in Colombia up to 36% is being seized. The UNODC report estimates the main consumer markets in Europe consist of 3.1 million heroin users. 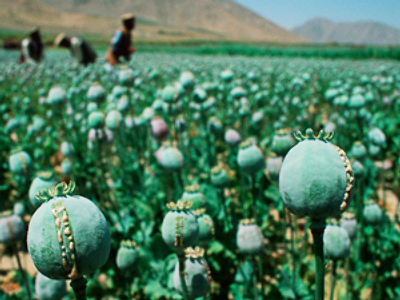 A decade ago, the Taliban earned $75-100 million annually by putting a tithe tax on opium poppy cultivation. Starting from 2005, the Taliban and terrorist groups in Afghanistan have boosted income up to $90-160 million per year from simply taxing opium production and trade. The smuggling of Afghan opiates is fueling addiction and drug use along trafficking routes in Central Asia, as well as spreading diseases, the report says. Though the production of opium in Afghanistan has fallen by some 10% in 2009, the opium in storage is enough to satisfy the worldwide demand fully for two years. Russian President Dmitry Medvedev has named opiate production in Afghanistan the major threat to the national security of Russia and discussed the issue during the meetings with the US President Barack Obama and the US Secretary of State Hillary Clinton, saying the efforts of the West to counter drug trafficking in Afghanistan are insufficient.